Below we have downloadable brochures and other documentation which we hope you will find useful. To see more downloads, please register with us by completing our registration form and then log in. You can restrict the selection of downloads you are looking at by selecting one of the bullet-point categories below. An overview of PhotoGrav image editing software. A guide to make your own focus gauge - for the TMX range of CTR CO2 laser machines. A support guide for installing the 5.3 4220 laser software on Windows 10 computers, including troubleshooting section. Information on how to safely dispose of your used filters. I can smell fumes in the room - does my carbon filter need replacing? Instruction on how to replace your filters - this applies to generic units and does not contain any additional safety information which may be relevant if you are using specific or hazardous materials. How to re-set your fume filtration system, after replacing a filter. A diagram showing the focus point of the laser, and which way round the lens is located in the machine. Applicable for TMX laser machines. How to alter (or clear) the datum position using your laser machine controller only. Soft Stop error message in the laser software. 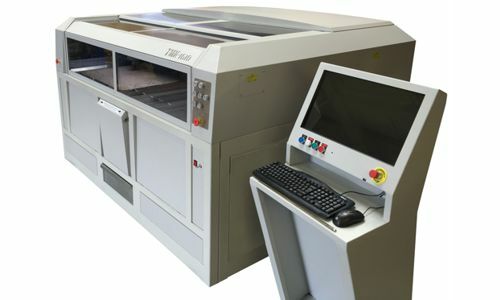 How to carry out the standard checks for an imported design file, in the laser software. Includes... Joining lines, Check lines are closed, Check for crossing lines, Check for overlap. How to create files names to save in your laser machine memory. How to engrave circles inside a vector shape.